DP World Australia has signed orders for 38 new machines for its new logistics arm, DP World Logistics Australia. The orders include 7 Kalmar reachstackers, 11 loaded and 20 empty container handlers. 22 units have already been delivered to DP World Logistics Australia’s Botany Intermodal terminal, with the remaining equipment to be delivered by September 2017. The new machines add to DP World Australia’s existing fleet of Kalmar rubber-tyred gantry cranes (RTG), straddle carriers and terminal tractors and will serve operations in Sydney, Melbourne, Fremantle and DP World Australia’s semi-automated terminal in Brisbane. 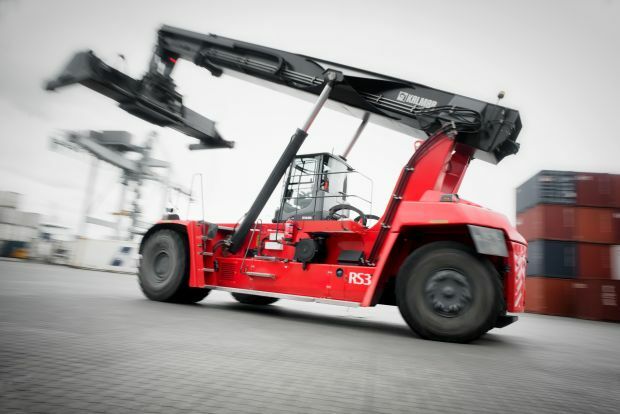 Kalmar reachstackers will be equipped with Kalmar K-Motion transmission technology, which is said to secure uptime and productivity while reducing fuel consumption and emissions. Four units will also include overheight legs. All the Kalmar machines will be powered by Volvo IV Final engines to meet emissions standards and will feature the Kalmar SmartFleet system for performance-boosting remote monitoring and reporting.